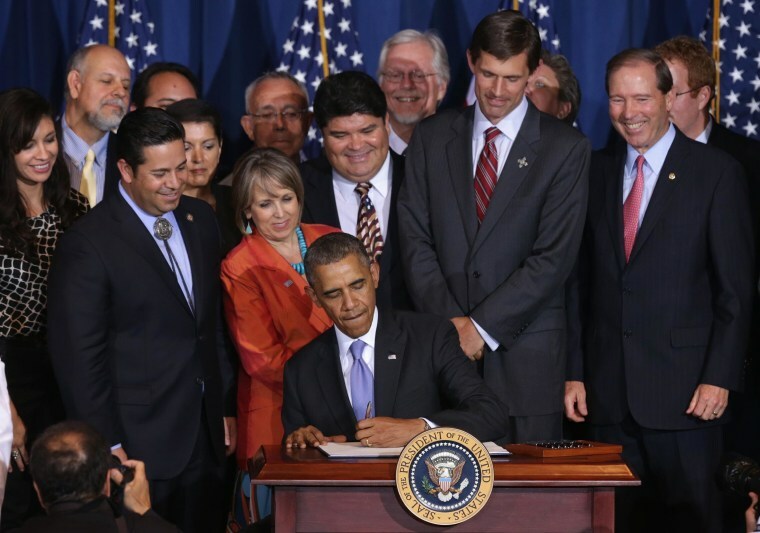 President Barack Obama touted the economic impact of public landmarks and criticized Congress for failing to protect America’s “precious land” before designating a nearly 500,000-acres swath of southern New Mexico a national monument on Wednesday. “Congress is sitting on dozens of bills that would help protect our precious land,” Obama said during remarks at the Department of the Interior. “I’m here to pick up a little bit of the slack, because there is no time to waste to preserve our precious resources and give a shot in the arm to local economies,” he added. The president signed an executive order designating the Organ Mountains-Desert Peaks a national monument, a move the White House projects could result in $7.4 million in new economic activity.